Published Dec 15, 2008 by New Riders. Part of the Voices That Matter series. Special Offer: Get this DVD for just $5 when you buy the Stylin' with CSS: A Designer's Guide book or CSS with CWS online video. 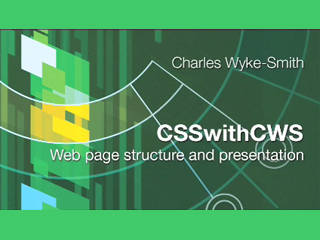 In this video on DVD-ROM, Charles Wyke-Smith demonstrates some of the most useful CSS techniques. Charles goes over the key strategies of correctly structuring HTML documents and then moves on to presentational styling – such as the colors, graphics, and columns of the layout – with CSS. Leading with structure ensures that your document will display acceptably on any device, not just desktop web browsers, and will enable you to easily change the look of your site in the future. 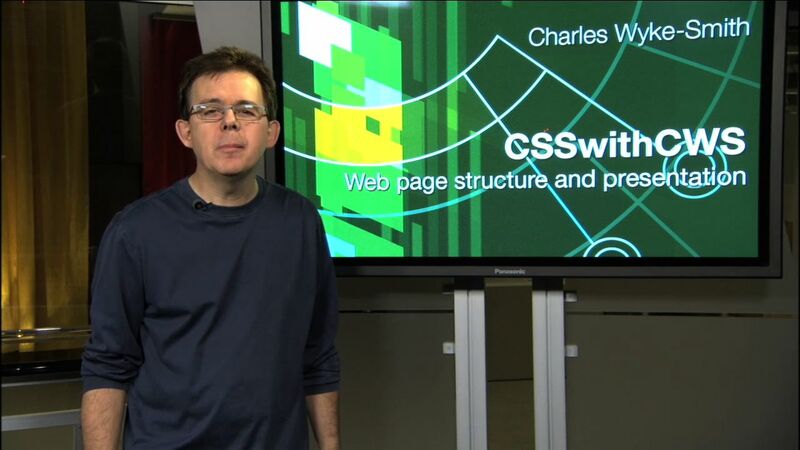 Charles provides a solid introduction in how to use CSS effectively, and shows you the step-by-step process of styling a page. The video assumes some basic knowledge of how web pages work, but even if you're a complete beginner, you should be able to follow along quite easily.